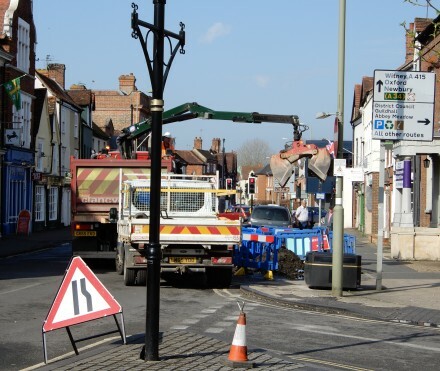 There have been two different road closures in Bath Street this year, first for gas mains, and more recently for resurfacing. 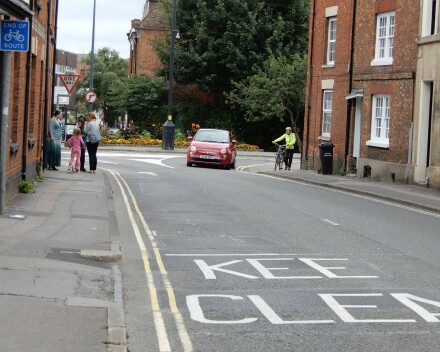 Somebody pointed out the road markings, after all the roadworks, and said ‘Somebody has taken the P!‘. 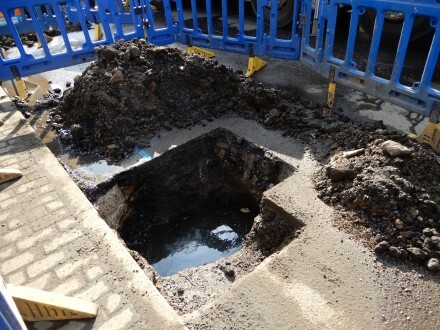 The long running saga of the Ock Street hole continues. 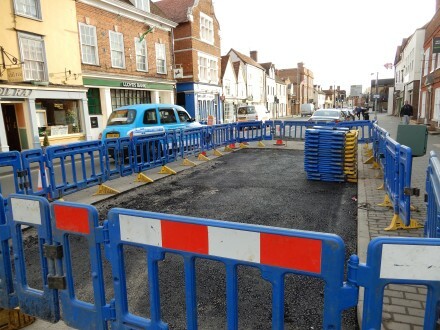 Colin, The Abingdon Taxi driver, wrote about the hole in his column in the Herald, and how after some time it was dug up and filled in again without any fix. In deed, matters were made worse as tar got splashed on the taxis waiting nearby. The same thing happened again this weekend. A hole was dug. 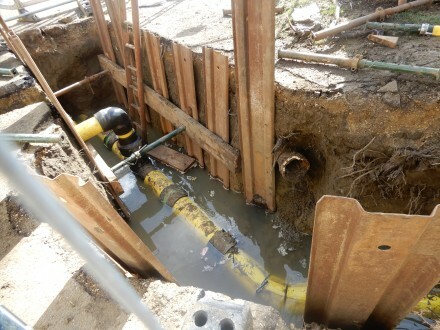 It was filled back in again as the water continued to gush in. So this morning the cones were back and the pool of water in the road was still there. 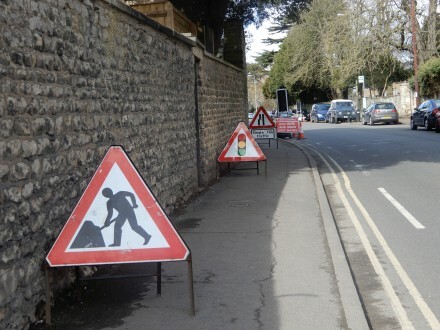 The Herald had a public notice in this week, and Roadworks.org has details, about gas main replacement work in Bath Street between Stratton Way and Faringdon Road. 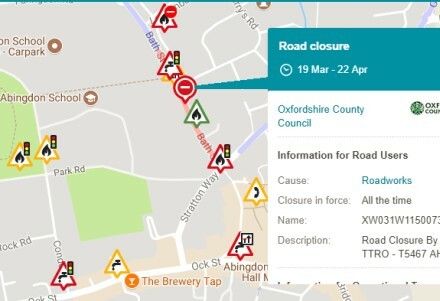 The 2 way control lights, sometimes operating, in Bath Street will be replaced by a road closure. Parking will be suspended. Diversions will be in operation. It could lead to delays. 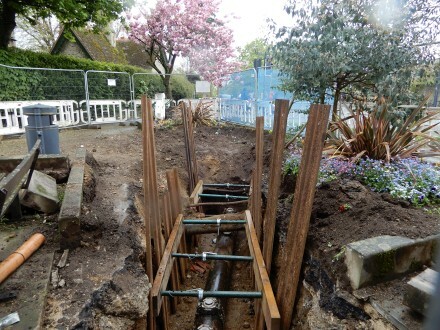 Gas main replacement continues round the Albert Park; currently the top of Conduit Road is closed for three weeks. There has been a lot of rain recently, but lunchtime today was warm and sunny. 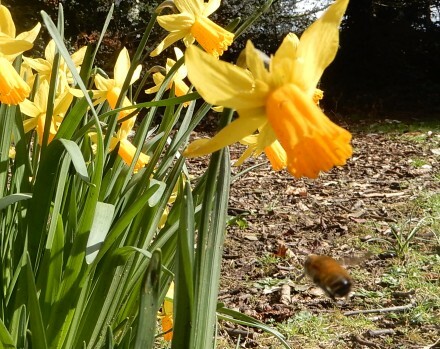 However temperatures are likely to fall this weekend. The newspapers are talking about a ‘mini beast from the East‘ at the weekend. This follows the ‘big beast from the east‘ at the end of February. 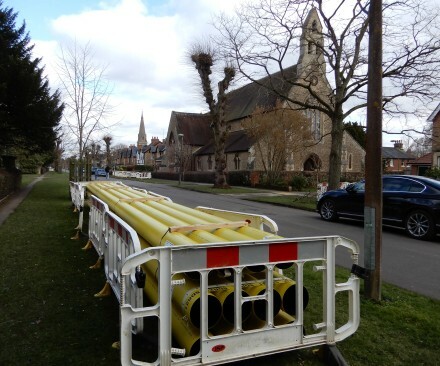 Work to replace ageing gas mains around the Albert Park in Abingdon began last week and will continue for a couple more weeks (correction see comments). 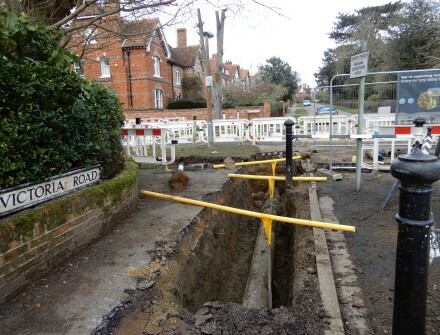 On Sunday the gate leading to the park area from Faringdon Road was open to help make up for the from Victoria Road being closed.